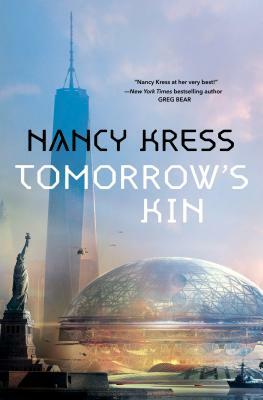 Tomorrow's Kin is the first volume in and all new hard science fiction trilogy by Nancy Kress based on the Nebula Award-winning Yesterday's Kin. The aliens have arrived... they've landed their Embassy ship on a platform in New York Harbor, and will only speak with the United Nations. They say that their world is so different from Earth, in terms of gravity and atmosphere, that they cannot leave their ship. The population of Earth has erupted in fear and speculation.